Looking for movie tickets? 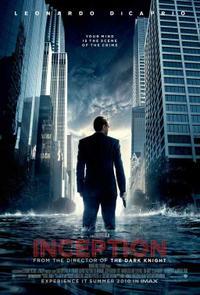 Enter your location to see which movie theaters are playing Inception near you. Christopher Nolan's sci-fi thriller centers on the premise of corporate espionage by way of dream invasion.